“You have 2,978 Unread Messages.” Say what? That number is actually pretty low compared to some emails that I have cleaned up and streamlined. But none the less, that is 2,977 more messages unread than you want to have. Let’s take a look at some of the ways you can clean up your email and make your inbox work for you. I know this one is the hard one, but it’s the fastest way to get your inbox number lower. First, I usually write down a list of senders that I want to remove and or unsubscribe the inbox from. Then, I search from the inbox a specific sender on my list. I click on the top email and unsubscribe, then go back to the list, hit “check all”, then “delete”. If you have an incredible amount of subscriptions, check out unroll.me. It’s free and will save you tons of time. You can start from scratch or select specific newsletters and advertisements to unsubscribe from. If you really want to clean up your email, create a folder for common emails. For Example, make a “receipts” folder and then move all of your receipts into this folder. You can do a search again and usually “receipt” or “order” will bring up the majority of them. Continue doing this for other categories or people. Clean up your inbox with “rules”. Automatically send certain emails to certain folders. Depending on how you are getting your email will depend on the how to create the rules. You should be able to just do a quick search within the app or website on how to create rules. If you are worried about missing emails because they are sorted, most email services will show that there are unread messages in a folder, so you never miss an important email. Or you can set your view to “view all unread messages” right when you open your inbox. Use a quality email management program. There are several email management programs out there that can make cleaning up your inbox easier. On my mobile device, I use “Inbox” for my gmail account and also access it on the web when I get on my computer. It learns how you use your email as time progresses. For instance, automatically placing tickets and hotel bookings into a “travel” folder. It will also offer suggestions of bulk mail to unsubscribe from and it will unsubscribe for you without having to do it manually. Play a game while sorting and deleting. Yeah there is actually a website for this. It works with gmail and it gives you certain amount of time to choose how to respond to an email. Check out The Email Game to see if this will motivate you to open, delete or archive emails. I occasionally use this when I legit do not want to see my inbox. Sometimes it gets crazy y’all. It honestly is the best feeling when you can get your email to zero and only have to deal with today. One thing I recommend to clients that have a hard time keeping the junk out, even after a deep clean, is to separate emails. A lot of vendors automatically subscribe you to their email list, so creating a junk mail inbox to only make purchases can help all of those automatic subscriptions. You can forward receipts to your main email that can be automatically placed in a folder to keep for future reference. I know this all can be overwhelming and seem like such a huge task to take on yourself. I do offer Email Cleanup Services as well as ongoing maintenance if you just don’t want to take on the email monster, delegate it to me! There are so many software programs out there claiming to make your life easier and to make your work more productive. Here are the 5 essentials I think you need, especially if you are a home business, start-up, or need to be mobile. I like cloud/internet based programs so you can travel with your work. I mean, who doesn’t dream of sitting on the beach creating invoices? Wave This is a 100% free internet based accounting software. You only get charged for processing payments like invoices and payroll as you use them. Which is super great for new businesses! They also have application integration that works with your other programs like Mailchimp, to really make life easier. Say you create a new customer, it will add that customer to your Mailchimp newsletter, cutting down the time you spend. Hootsuite This internet based social media manager keeps you sane! You can manage 3 social media accounts on the free based version and additional ones in the paid versions. If you’re like me, you have a bunch of ideas to add to your social media that come at once. Instead of saving those ideas for later, you can create them and then have Hootsuite push them to your social media accounts later. WordPress If you aren’t blogging, you aren’t being seen. Having a blog helps you create content that you can share with your followers and then drive them to your website. I have used several platforms in the past for blogging and website management; WordPress seems to be the one that has the learning curve and is more user friendly as you add more content and grow your website. With it’s build in website hosting for as low as $4 per month, it really is one of those low risk investments that really can change how you will find your next dream customer. MailChimp This is a newsletter manager that is internet based and so easy to use. Creating newsletter content to send to your customers and pushing you to being the expert in their minds is incredibly simple with MailChip. As mentioned above, it can integrate with other applications, truly creating a seamless hustle. They have a free plan to get you started if you have under 2,000 email subscribers and sending under 12,000 emails a month. Need help setting these essential applications up for your small business and managing them? 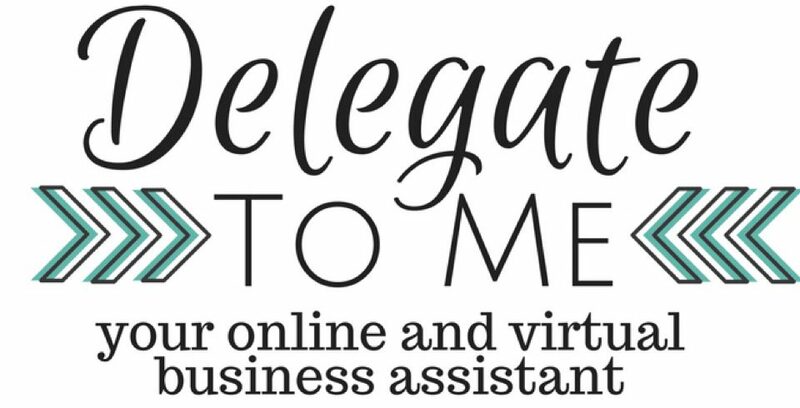 Many Virtual Assistants have had professional careers that have given us different skill sets that are incredibly valuable to you and your company. As much as we are different, we all do have something in common; how we work and how valuable we are. Check out my list below to see why you need one! We’re more dependable! Can you imagine being able to hang in your sweats, laying in bed on a sick day and actually getting things done? I can and I have been there! When I worked my 9-5 job (or rather 9a-2a), if I were sick, there was just no way I could pull myself together to look presentable to meet with clients and actually do work. The energy to just even get out the door was too much. That’s probably the best thing about a Virtual Assistant, there aren’t too many excuses of why you’re work can’t be completed. No “my car is broken” “my kid is sick” “I’m too sick” excuses. If we can’t get it done when things are rough we can find time later. Guaranteed. And if there’s a tragedy, many of us have backup plans like subcontractor that can step in at a moments notice on major projects. We’re cheaper! So maybe you think the pricing is a little bit steep when you’re navigating packages and hourly rates. Here’s the silver lining… you’re not paying our 401k, you’re not paying for our healthcare, our vacation or sick pay. You’re not even paying for our electricity or equipment to work for you! It’s worth it! We’re more productive! Studies show that folks who work from home get more done because the flexible schedule increases motivation. Overall, working from home just creates a happier individual because their work-life balance is healthy. Plus, we don’t have commute times! We work well together! If you need extensive book keeping and possibly someone to take planning events off of your plate… well guess what? You can hire two of us with those skill sets! It’s like creating a Frankenstein Assistant! Okay, so maybe not really, but you can easily have several assistants working on on the tasks that you need to delegate out and although I’m sure there are many people qualified in several areas, I don’t think you’ll find that versified of a person to handle ALL of your needs if you have several. If there’s something I am not able to manage for you, I can definitely recommend some fantastic colleagues that can! We don’t get bogged down by cattiness. Remember the last time that HR had to sort out a fight or Suzy and Beth weren’t speaking to each other? I don’t know of one single VA that has been involved in such matters with their clients’ employees. We don’t get distracted by those things because it’s just not apart of our world. Our work hours are our work hours and if we need some social time, we schedule that where we need to and we definitely do not do it on your time. If you think you could use someone like me, check out my Services page to see if we would be a match! Or better yet, schedule a one on one call or video chat to discover how well we would work together and how I can help you be more productive and get things done!